How Should a Christian Think? In this now classic book, noted scholar and author Harry Blamires perceptively diagnoses some of the weaknesses besetting the church with insights as fresh and relevant today as they were in the 1960s. 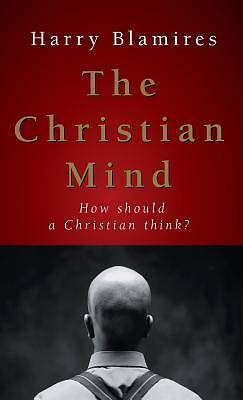 Arguing that a distinctively Christian reasoning has been swept away by secular modes of thought and politically correct assumptions, the author calls for the recovery of the authentically Christian mind. "America needs a shot of intellectual insulin directly to its oft-sleepy mind. Harry Blamires is calling out to Christians to think once again. To Blamires, Jesus is not some spongy source of giddy joy. He is the Christ-the hope of 'hard boiled' secularity." -Calvin Miller, Southwestern Baptist Theological Seminary "Must reading for those in places of spiritual leadership, and in whose hands in borne the responsibility for the nurturing of Christians." -Pulpit Helps Harry Blamires is a highly respected teacher and author of more than thirty books. He has won a wide following of both British and American readers for his provocative works in theology, education, English literature, and fiction. His other works include Where Do We Stand?, On Christian Truth, and The Post-Christian Mind.